Julia Herzberg Professor for the History of East Central Europe and Russia in Early Modern Times at the Ludwig-Maximilians-Universität Munich. 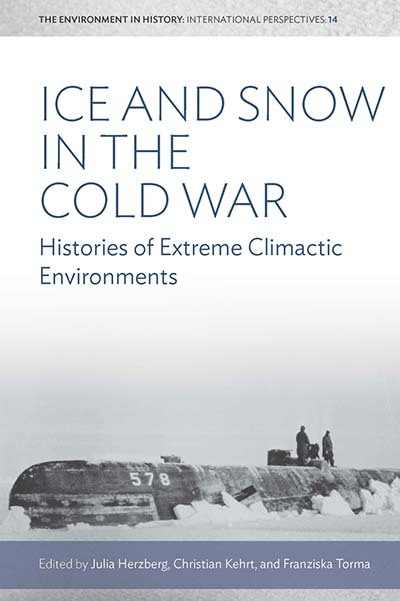 She is currently working on an environmental history of “frost” in Russia that scrutinizes various social and cultural aspects of Russia’s harsh climate. Over the last few years she has done research on the environmental history of Central Eastern Europe and Russia. Her publications include the collection Umweltgeschichte(n): Ostmitteleuropa von der Industrialisierung bis zum Postsozialismus (2013), coedited with Martin Zückert und Horst Förster. Christian Kehrt is professor of history of science and technology at the Technical University Braunschweig, Germany. His research interests lie in the cultural history of science, technology and the environment. Franziska Torma works on the history of marine biology at the Rachel Carson Center for Environment and Society, Munich (project funded by the German Research Foundation, DFG). Her research interests include the history of science and the cultural and environmental history of the nineteenth and twentieth century.